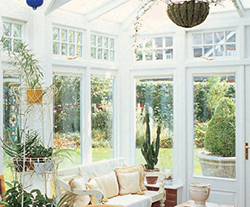 Adding a conservatory or orangery is now a popular means to increase the available space in a property. Our range of conservatory glass is made up of innovative solutions that assist in making conservatories a comfortable living area all year round. We house a wide choice of specialist glass and sealed units options to cater to all tastes. As an independent, N&C Glass are able to source glass from a variety of manufacturers. The use of glass in conservatories is important in demands in roof glass and also the wall glass options.n Colour options from blue, neutral and green can be combined with other glass to control overheating, heat loss and the additional benefit of self cleaning.